Now the Senate has two competing plans to fund the Affordable Care Act's cost-sharing subsidies — which could mean it won't be able to pass either one. 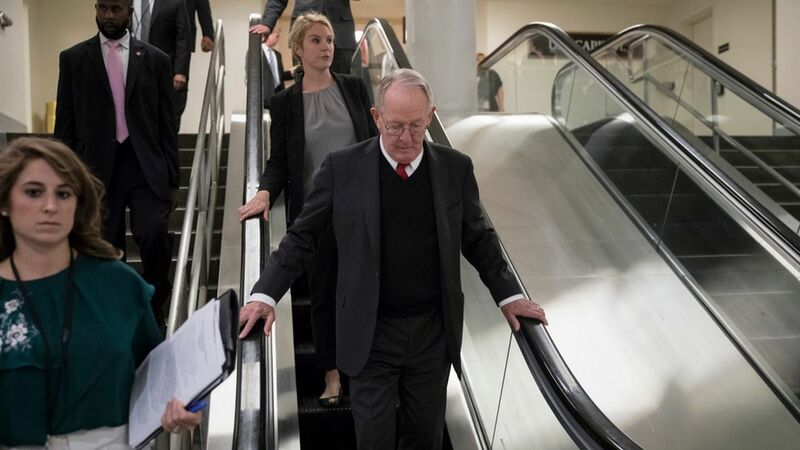 Senate Finance chair Orrin Hatch and House Ways and Means chair Kevin Brady outlined a new proposal yesterday as an alternative to the bipartisan ACA bill led by Sens. Lamar Alexander and Patty Murray. The details: It's hard to call these competing ACA stabilization bills. Although they'd both fund cost-sharing subsidies for two years, Hatch-Brady would also waive the law's individual mandate for five years — effectively replacing one source of rising premiums with another. Conservatives are not happy with Alexander-Murray. They've argued that if they're going to keep the law's cost-sharing payments flowing, they should be able to extract severe regulatory reforms in exchange. Hatch-Brady is definitely more conservative than Alexander-Murray. The big unknown is whether its presence will stop more Republicans from accepting Alexander-Murray as The Bill — especially in the House, where its standing is weaker than in the Senate. One perspective: "Sad attempt at relevancy by health care staff on Finance who are upset that their boss is entirely focused on tax reform, as he should be," a senior GOP aide told my colleague Caitlin Owens. The odds: 100% of the available evidence, from the entire Trump administration to date, suggests very strongly that Republicans are not capable of passing a health care bill on their own. They couldn't do it with 50 votes in the Senate, and either one of these bills would need 60. Alexander-Murray has 60 votes in the Senate. Hatch-Brady would have an extremely hard time getting there. Waiving the individual mandate will be too much to ask for most, if not all, Democrats. Leadership will likely face a choice between passing Alexander-Murray, with only minor modifications; or not passing anything at all. All of this still probably comes down to December, when lawmakers have to deal with a host of thorny must-pass bills.